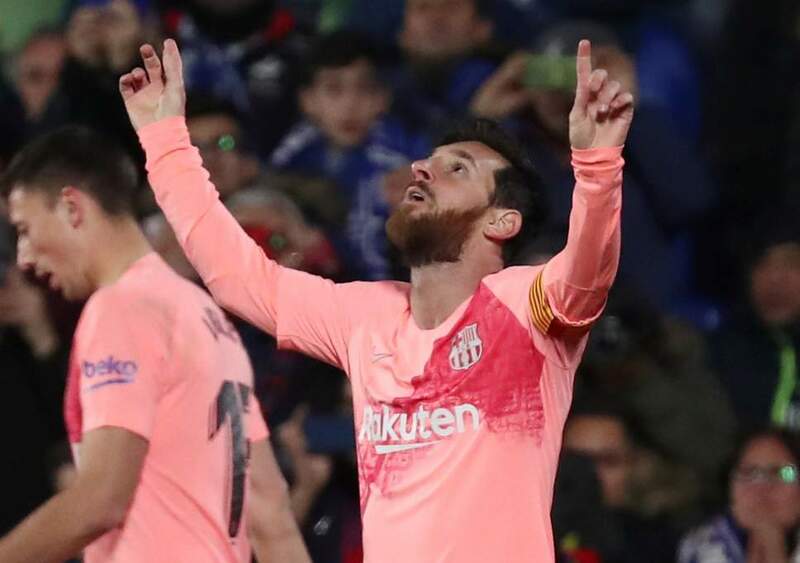 Lionel Messi netted his 399th La Liga goal in Sunday’s 2-1 win at Getafe and is now a goal away from reaching 400 goal mark in the Spanish topflight. The Argentine opened the scoring in the 20th minute when he slotted in from a tight angle. Louis Suarez doubled the lead with a venomous shot from the edged the box but Jaime Mata fired in to reduce the deficit. The victory moved Barcelona five points clear at the top of the log on 40 points from 18 games. Atletico Madrid, who drew 1-1 with third placed Sevila are second. Alaves are fourth with 31 points ahead of defending champions Real Madrid, who suffered a shock 2-0 defeat at home against Real Sociedad.